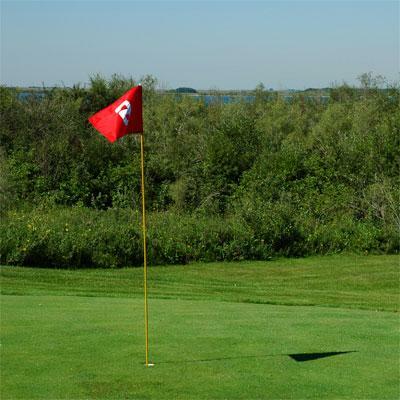 We are proud of our nine-hole golf course with its grass greens. The following is a chronological list of current bylaws in Mistusinne – as of August 2012. Informal summaries have been included for some bylaws. It is unlawful to deposit raw sewage on a lot or land within the Village. In the fall of each year, for health reasons, the village council shall direct that all septic tanks requiring emptying shall be pumped out at the expense of the owner. 01-86 – Bylaw re using the name "Resort Village of Mistusinne"
Train Elbow’s fire department members. Store, maintain and insure Elbow’s fire-fighting equipment. Have Elbow’s Fire Chief prioritize fire calls. The bylaw states that Mistusinne will pay an annual levy of $1,200 for this fire fighting response and there will be no additional charge to residents for responses to emergency fire calls within the corporate limits of Mistusinne. Council has authority to remove and dispose of abandoned vehicles. Payments are made by cheque signed by both the Administrator & Mayor. Garbage must be disposed of in contractor’s bins. Boxes must be collapsed and folded. As of January 1, 2006, the Council of the Resort Village of Mistusinne changed from a Mayor and two Councillors (total of 3) to a Mayor and four Councillors (total of 5). Junked vehicles in a partly dismantled or inoperative condition. Dilapidated buildings that are dangerous to the public or that are substantially detrimental to the amenities of the neighbourhood. Overgrown grass or weeds (in excess of 20 centimeters or 8 inches). Refrigerators or freezers stored outdoors. Dead or hazardous trees, sharp or dangerous objects. Improperly stacked lumber or firewood that could harbor rodents, etc. The bylaw allows for inspections by a Designated Officer and the issuance of an Order to Remedy. If also allows the Village to recover any costs incurred by the Village in remedying a contravention or the imposition of penalties. Exhibits to this bylaw include Orders to Remedy (sample letters). This bylaw set out the notice that Council must provide before undertaking particular types of actions. This bylaw sets out the duties and powers of the Administrator as per The Municipalities Act. This bylaw established a Capital Trust Fund, effecting December 31, 2005 for future capital works, including the purchase of machinery or any other purpose that the Council considers appropriate pursuant to Section 233 of the Urban Municipality Act. This bylaw set out the rules for a householder to obtain a permit to drill a sand point off of the householder’s site. This bylaw includes provision for a bylaw enforcement officer. This bylaw sets the speed limit for the village at 40 kilometers per hour and 30 km per hour in the playground zone. Shall only be permitted to travel on paved or main access roads within the Resort Village. Will not be allowed in roadway ditches or on green spaces (public land) within the village. Not create any nuisance or undue annoyance to residents. Not create a danger to other persons or property. Wear a helmet in the prescribed manner. Be sixteen years of age, or if between the ages of 12 and 15 inclusively be accompanied by an adult rider or directly supervised by an adult with a valid driver’s license. Not operate that vehicle at night without prescribed lights. This bylaw regulates the speed, movement, turning of heavy commercial vehicles, along with access to rear of lots. All travel is to be on roadway ditches, beaches and the leased area north of the golf course. No travel will be allowed on Resort Village leased green spaces (public land) with the exception of the leased area north of the golf course. No person shall operate a snowmobile within the Resort Village in such a manner as to create a nuisance or undue annoyance to residents or other persons within the Resort Village. No person shall operate a snowmobile upon any property in such a manner that is dangerous to other persons or property. Fine of $250 per occasion. This bylaw establishes the cost, per lot, for road improvements ($3,326.44 prepaid or $484.62 for 10 years, from 2008 to 2017). This bylaw provides for the borrowing of $182,954 for financing the unpaid costs of the road improvements. This bylaw states that vehicles must park in the designated areas, that boat trailer must carry a valid parking permit sticker, that there shall be no fishing or use of beach between two parallel lines 100 feet north and 100 feet south of the dock. As of 2007, the total amount paid to the Mayor and four Councillors is equivalent to .85 mills applied to the total taxable assessment. The Mayor receives 1/3 of that amount. Each Councillor receives 1/6 that amount. If either the Mayor or one of the Councillors is absent for one of the regular meetings, that member’s indemnity shall be reduced by 1/12 (one month’s equivalent). Indemnities are paid on a semi-annual basis. The bylaw also allows for reimbursement to Council members for out-of-pocket expenses for approved Council business. Expenses for travel to Council meetings is paid during the months of November to March for those Councillor’s whose permanent residence is other than Mistusinne. As of January 1, 2005, the property tax for the Resort Village of Mistusinne changed to include a base tax of $300. When a base tax is used, Council is able to lower the mill rate. However, the total revenue collected may remain the same. Taxes on properties with lower assessments tend to be increased; taxes on properties with higher assessments tend to be reduced. The rationale for the base tax method is the acknowledgement that some basic services need to be shared equally by all ratepayers. In 2009 the base tax was increased to $400. The Zoning Bylaw sets out the vision and constitution of the Village as per the Village’s Official Community Plan. This bylaw states that dogs must be kept on land of the harbourer of the dog, or otherwise be on a leash. 03-10 – Bylaw to extend the time for completion of financial statement. The deadline for the completion of the audit is extended to August 1st. Fireworks are illegal within the village but allowed on the beach between 9:00 am and midnight. A permit may be given to a firework display under certain conditions. This bylaw bans the burning of rubbish, garden refuse, manure and any material which will generate black smoke or offensive odours. Fire pits must be lined or surrounded by brick, stone, or a metal rim. Fires should not exceed 1 meter in height and must be attended at all times. This bylaw provides for the borrowing of $114,400 by way of debentures for financing the irrigation water project. This is a joint bylaw passed by both the Village of Mistusinne and the Village of Elbow, in which it is agreed that Mistusinne will have access to the Elbow lagoon for a fee of $13.53 per month with a minimum fee of 6 months for seasonal users and 12 months for full time users. This agreement is in effect until December 2012. This bylaw provides detailed provisions of building regulations, in accordance with the Zoning Bylaw and provincial regulations. This bylaw establishes the annual utility rate for the irrigation water at $40. Our new Community Plan and Zoning Bylaw will apply mainly to new development in the future. Check out the zoning districts (link below).